LawCrossing is an Accurate Option! LawCrossing is incredibly easy to use. Whether you are a lawyer, a law student, a paralegal or legal support staff member, you can quickly see what options you have through its easy-to-use search functionality. The site sends out job alerts to its members so that they can stay ahead of the competition. Members keep getting job alerts for every job posting that matches their criteria. LawCrossing also mails newsletters every week to its members. The newsletters contain articles related to the latest developments in the legal industry. On its site, LawCrossing also has sections such as market watch and state of the market report for lawyers who want to stay up-to-date with the market trends. The site is also an excellent way for attorneys who want to transit to a teaching career or work in-house. 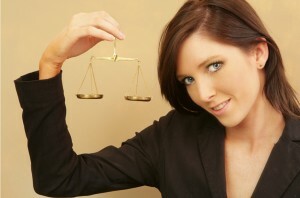 I am very happy that I used this website, as I could find all kinds of legal jobs at one place. And to top it all, I got a job through this website. The website was great, it was worth the money, got linked in with it very easily, got a few interviews, loved the search option, and would recommend it to friends. Find Jobs on LawCrossing Today! The main advantage for job seekers in using LawCrossing is that since the website has programmers and web researchers tracking more than 250,000 websites for legal industry jobs, job seekers can be sure of finding a good opportunity that they are unlikely to see anywhere else. LawCrossing’s team crawls the web for jobs posted on company websites, law industry associations, law schools, government job boards and sites, nonprofit websites and corporate websites to bring to its members attorney and other legal industry jobs from every possible location. There are also thousands of sole practitioners who don’t advertise their openings for their legal staff or are interested in taking on capable interns but do not advertise on the usual job boards. Most of these lawyers rely on word-of-mouth, social networking (the old-fashioned way) and their own websites to let people know what they are looking for. But with LawCrossing these professionals now have an option to access the best talent pool in the country. On LawCrossing’s main page, the site displays how many total jobs it has in its database, along with how many were added in the last 7 days. It also has a breakdown of how many jobs it has in its main categories such as attorneys, law students and paralegals. LawCrossing has an easy-to-use search. I was able to find lots of listings in a short period of time. A friend told me about LawCrossing, and I will likewise tell others about my great experience with the site. With so many facilities in one place, LawCrossing is the best place to search for a job. LawCrossing is a job board with a difference. Unlike other job boards out there who view jobs sites as a business and a potential revenue driver, for us, getting legal jobs for you is our mission. Our LawCrossing customers understand perfectly this passion, this zeal and this level of commitment. In fact many of them have written to us, telling us how much they appreciate our work. It is these positive reviews from LawCrossing customers that keep us going. Any customer review for LawCrossing, any LawCrossing testimonial or a LawCrossing success story is a sign that tells us that we are on the right track. LawCrossing is a site dedicated to legal job seekers. Our work is targeted to the job search needs of legal professionals including attorneys, legal clerks, paralegals, summer associates and other legal industry professionals such as IT support staff and HR staff that law firms require. Our customers understand the huge value that our focused approach offers and keep sending in positive reviews about the same. LawCrossing sends out newsletters every week to its members which contain articles related to the latest developments in the legal industry. We also send out job alerts to ensure that our members stay ahead of competition. Members keep getting job alerts for every job posting that matches their criteria. For users who do not want their inbox flooded with constant job alerts, there is always the unsubscribe option. We would not advise you do it lest you miss out on some valuable job leads and legal industry news. The LawCrossing testimonial section is full of nice words about how useful our newsletters and job alerts are to legal job seekers. The articles which talk about what is happening in the legal world across the country receive a lot of positive feedback on LawCrossing. David McCullough | Washington D.C. I got a good number of postings but am currently happy with where I am. I was satisfied with the listings and also found many relevant leads. LawCrossing is MUCH BETTER than Free Sites! Unlike most other job boards, LawCrossing is not free for job seekers. This part is disliked by some people who think that job boards should always be free and any job board that makes job seekers pay is a scam site. But the reason LawCrossing charges a monthly fee to job seekers is that we want to make this an exclusive site for serious job seekers. Users who have used and are using the site are very comfortable associating with a paid site since they take their career very seriously and do not mind paying a nominal fee for getting access to the most exclusive collection of legal jobs. Employers also know that we have serious job seekers since our job seekers are willing to pay a monthly membership fee. This gives LawCrossing a huge competitive advantage and opens up innumerable opportunities for fresh law graduates, mid-level attorneys as well as senior attorneys across the country. The main aim of other sites is to drive job seeker traffic to their sites, which enables them to sell more advertising spots on their website. These sites try to drive as many job applicants towards every single job posting on their site. The result is that for every one job posting that you apply to, there is a lot of competition. Paying a monthly fee for getting access to jobs that are hardly if ever advertised anywhere else is a worthwhile investment in your career. I was able to generate a good number of leads through the website. The website was very easy to operate and I will surely be back when I am in the job market. It was a great service and has always been one of my favorite search engines and will always be when required. LawCrossing also has a great customer support team. Renewing your membership or canceling it is just a phone call away. The customer support team is available Monday to Friday. LawCrossing’s great customer service, along with the site’s huge job listings has made it the favorite job search site for people in the legal industry. LawCrossing has 25 times more jobs than any other legal industry job board. The reason for this is that it collects jobs from over 250,000 websites. So for attorneys and other legal professions, it makes excellent sense to invest in its monthly membership fee. Most lawyers see this as a safe investment when considering the huge student loans that they have taken on. LawCrossing has also emerged as a popular destination for lawyers trying to shift from working in a law firm to an in-house position. LawCrossing’s customer service team also guides first time users on how to use the website so that members can feel that they are getting the maximum bang for their buck. It was a good service, was a user friendly website and search options were really good. I would surely recommend it to friends. It was wonderful and I will surely recommend it to my friends. Also saw a lot of fresh jobs. LawCrossing has lots of testimonials from customers who are in various stages of their legal careers. Most of the customers are happy to pay a monthly fee to access LawCrossing. The site gets many repeat customers who come back to the site whenever they are looking for a job change. LawCrossing members keep getting daily email alerts about job opportunities which help them in their job search. They all agree that without LawCrossing their job search would have taken much longer and they could possibly have not come across the opportunities that they saw on the site. LawCrossing is also a good site for lawyers who want to switch to an in-house legal position. An excellent tool for law students, LawCrossing is a great way to get judicial clerkships and summer associate positions. Because LawCrossing is a research website and not just a typical job board, it is much more active in finding jobs and posting those jobs on the site. The main benefit for the job seeker is that this means he gets to see jobs that are rarely, if ever advertised on the usual public job boards. With the slowing legal industry job market, the competition for jobs (especially for new graduates) is even fiercer. So for a law student, investing in a research website dedicated to tracking down jobs makes sound financial sense. It’s not just jobseekers who have signed up on LawCrossing. The site also attracts recruiters who find the site useful to get in contact with good candidates. It was fine, and the search Functionality was ok. I did find relevant postings and would recommend it to friends. It was fine. The search functionality was quite good and also found job alerts really useful. LawCrossing exists for the legal job seeker. Nothing can take us away from our avowed mission to get jobs for legal professionals. We are totally committed in our efforts to serve the legal job market. Our members love us for what we do for them and trust us with their legal job search needs. Most of them never ever leave us and keep renewing their membership. As much as we would like to have every one of our customers stay on with us forever, we do understand if some of them need to cancel their LawCrossing membership. We respect our customers wishes and offer a very easy way to cancel your membership. We are confident that if you ever need to get back into the legal job search mode, LawCrossing would be the first choice for you. Canceling your LawCrossing membership is pretty easy. If you are using the free trial offer, then you can cancel any time before your 3-day free membership expires. Your LawCrossing membership will be canceled immediately and you will not be charged a cent. In fact LawCrossing canceled memberships are just as valuable to us as regular members. LawCrossing’s free trial offer of three days is in fact an excellent way to check the site and see if it matches your legal job search needs. The site has jobs in virtually every practice area as well as listings for law students who are interested in summer associate positions and judicial clerkships. Canceling your LawCrossing membership is totally a hassle-free process. You simply need to place a call to the LawCrossing customer service number and talk to the LawCrossing customer service personnel about canceling your LawCrossing membership. No questions will be asked and there will be no long arguments. Your membership to LawCrossing will be canceled immediately. LawCrossing customers keep coming back to LawCrossing when they are in search of a job change or are planning to shift into a different practice area or planning a move to another part of the country. Their preferred job search tool continues to be LawCrossing. This is because with LawCrossing they are in a better position to look up opportunities than they would be through other traditional channels such as recruiters and job boards. Our customers really love our professional approach and have showered appreciation on us through excellent testimonials and positive feedback about the excellent cancellation procedures we adopt at LawCrossing. It was a great service and was worth paying such an amount. The jobs were really good, got lot of opportunities. I would surely come back when needed. I found a lot of jobs in my area on this website, more than any other. The website has very helpful articles listed for the law students and the quality of the jobs is also very good.